is based on two Dutch windmills. 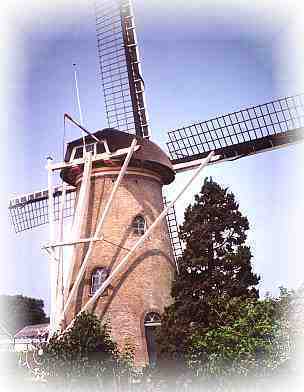 The Lily Windmill is similar in size and appearance to the windmill "De Lelie" (translation: The Lily), which dates back to 1836 (see picture on right). This circular brick "ground-sail" mill is situated in a small Dutch village in the South West of Holland called Puttershoek, the birthplace of Pleun Hitzert. This mill is the only windmill in the village and was responsible for the supply of flour for all the citizens of Puttershoek and surrounding villages in years gone by. "De Lelie" is still in operation as a flour mill in a small way. 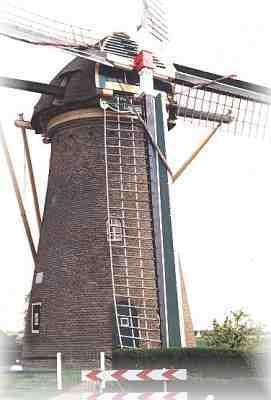 The second mill taken as an example for building The Lily is windmill "Landzigt" (see picture on right). This mill dates from 1857 and is situated in Zuid-Beijerland, a small village on the same island as Puttershoek. The old name for Zuid-Beijerland is "Den Hitsert". This is the place where the Hitzert family originates from. The miller at "Landzigt" is Maarten Hunink. 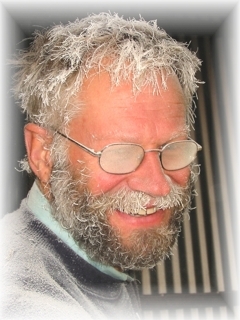 Maarten is since 1975 active as the miller and has been a great source of knowledge for Pleun Hitzert. One of the early sails of "Landzigt", a "Pannevis" stock from around 1880, has been utilized as the tail- beam for The Lily. Rob after testing the milling stones. While Pleun has been building the windmill mostly single handed he has received a lot of help and advise from Sjors Adriaens and Rob Batenburg over the years. Both are well known windmill builders. 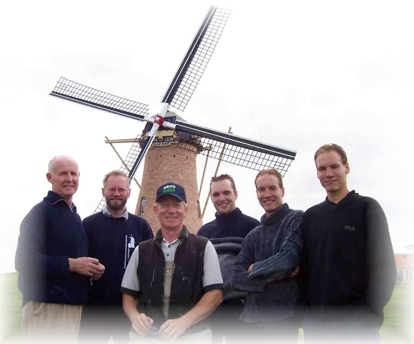 Rob is responsible for the restoration and maintenance of the windmills in Schiedam (The Netherlands). 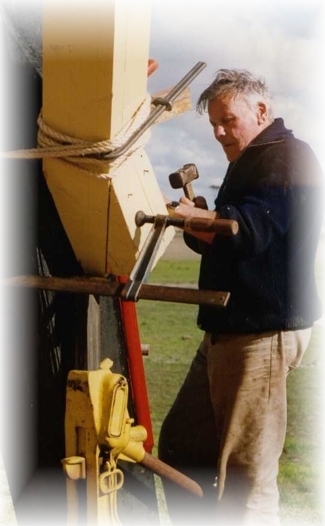 Without the help of Rob and Sjors the job of building a fully operational Dutch windmill in rural Western Australia would have been very much harder.